Today, the Catalan Parliament declared independence and the Spanish State, for the first time in history, invoked Article 155, dissolving all Catalan institutions. 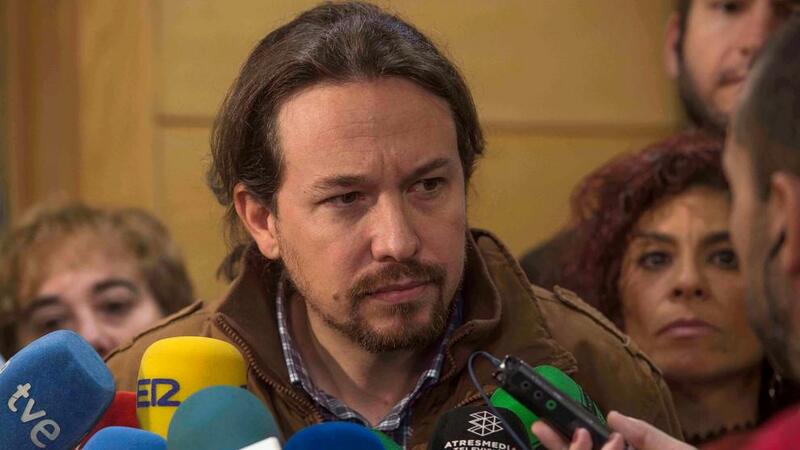 Podemos leader Pablo Iglesias calls Catalan independence illegal. Today, the crisis in Catalonia escalated and is now coming to a head. The Catalan Parliament declared independence, and the Spanish state punched back, imposing direct rule over Catalonia. On October 1, the world watched as the Spanish state repressed Catalan citizens who sought to vote in an independence referendum. Hundreds were injured. 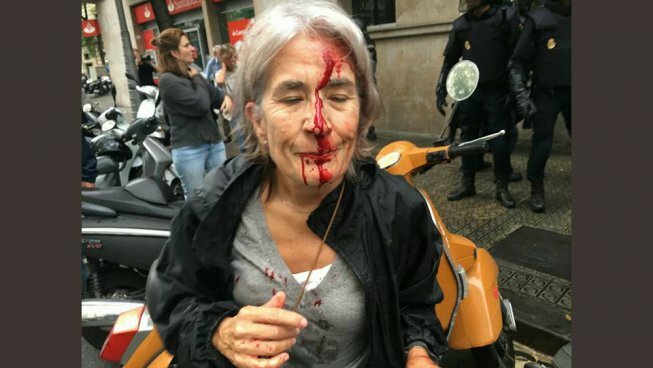 There are countless videos and pictures of the Spanish police hitting voters with batons and confiscating ballot boxes. Yet the referendum vote continued, and 90% of voters took the side of independence of Catalonia. Only a few minutes later, the Spanish Senate voted to approve Article 155 which puts Catalonia under the direct authority of the Spanish state and dissolves all Catalan institutions including the local governmental bodies and the local police. This is the first time since the Spanish constitution was formed in 1978 that Article 155 has been initiated, making this a truly unprecedented moment. Following the Senate vote, the Prime Minister of Spain, Mariano Rajoy said, “Spain is a serious country and a great nation and we will not tolerate a few people trying to liquidate our constitution.” The Spanish State has called for new election, dissolving the pro-independence Parliament. During the October 1 referendum, voters were attacked by the police. The majority of the Catalan people, who voted for and mobilized for independence, stand in opposition to the most powerful countries in the world and the Spanish state.. On October 3, a general strike brought Catalonia to a standstill. Barcelona’s streets were filled with workers and students as transportation, schools and businesses were closed to support independence. 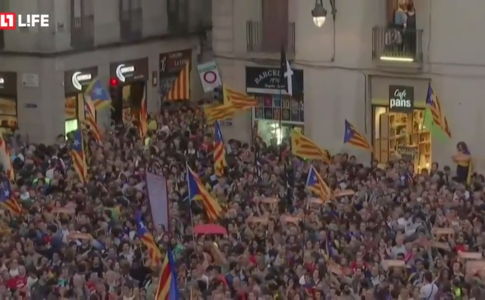 Over 15,000 demonstrated in Barcelona, calling Spanish police an “occupying force.” This general strike garnered solidarity across Spain with marches in cities like Madrid, Burgos, Zaragoza and others. 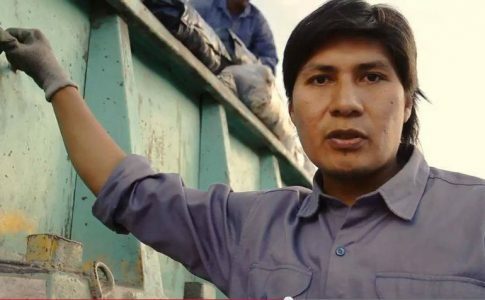 From Argentina, candidates of the Left and Workers Front spoke out in favor of self determination and urged the international left community to support the Catalan people against the Spanish State. 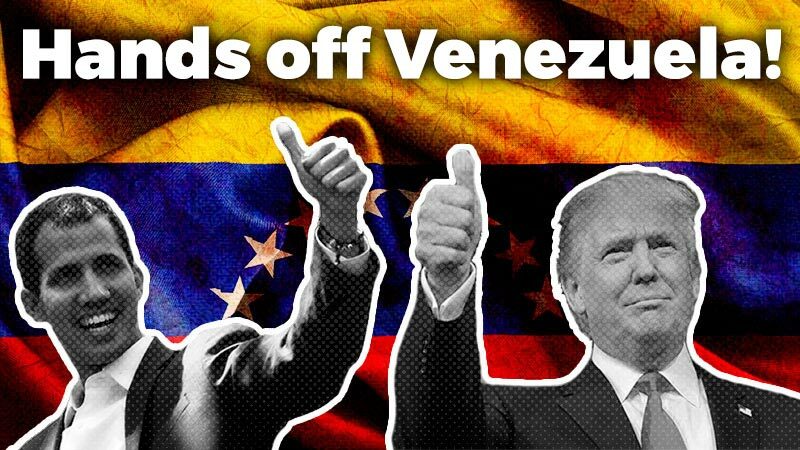 They demanded that the Argentine government recognize Catalan independence, breaking with the imperialist countries who refuse to do so. Jordi Sanchez and Jordi Cuixart, leaders of the independence movement, have already been jailed by the Spanish State. This brought thousands to the street in protest on October 17. It is likely that the Spanish State, after ending Catalonia’s regional authority, will seek sedition charges against more pro-independence leaders. 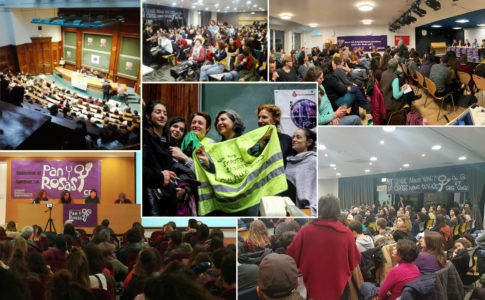 Podemos emerged from the indignados movement, a massive anti-austerity movement in 2011, and has won some electoral success since it broke into the political scene in 2014. Podemos Unidos has 70 representatives in Congress and governs many cities. 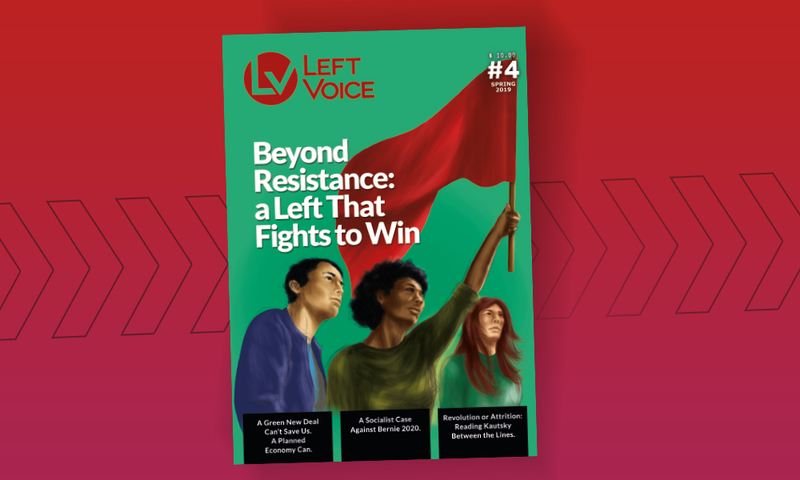 Like Syriza, Podemos was cheered on by much of the left, including, for example, the recent DSA convention which featured a panel including Jose Manuel Rodriguez of Podemos. Iglesias went on to say that, “Today, before what will happen in the Parliament and in the Senate, Rajoy and Puigdemont must have a telephone conversation.” He argues that the leaders of Spain and of Catalonia are ” sufficiently sensible to reach a minimum agreement that gives us breathing room.” This breathing room would include, of course, retracting the vote for Catalan independence and ignoring the will of the Catalan people which has been demonstrated in the streets and in the polls. This middle of the road response can no longer hold as tensions escalate and Catalonia moves towards independence. Podemos had to chose a side, and today, they undoubtedly chose the side of the government. It chose the side that will repress the thousands in the streets of Barcelona right now. The repression of October 1 may be small compared to the immense repression that Rajoy could bring down on the Catalan people as a result of this independence vote and concrete move to separate from the Spanish State. Iglesias turns his back on those workers and students who are in the streets celebrating right now, and who may tomorrow be in the streets facing the Spanish police. All progressives must position themselves in opposition to Article 155 and against the repression of the Spanish State. Podemos must put its immense political weight on the side of the workers and youth instead of leaving the Catalan people isolated to face off against the Spanish State and its imperialist backers. 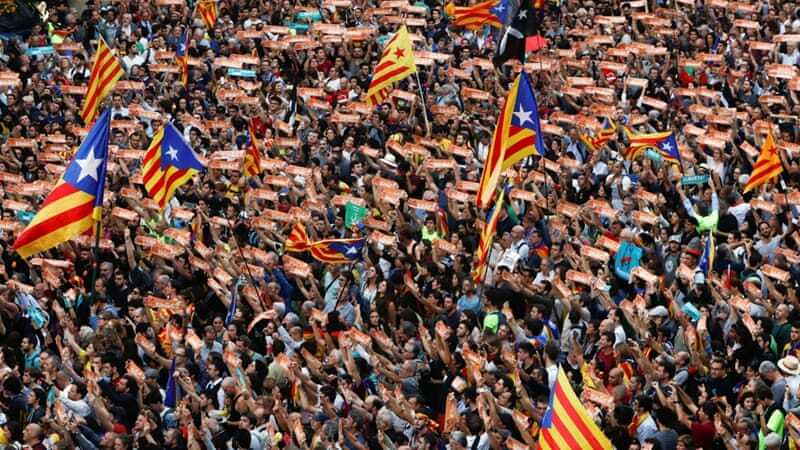 They must call for a huge movement against Article 155, against repression, and against a possible occupation of Catalonia by the Spanish armed forces. 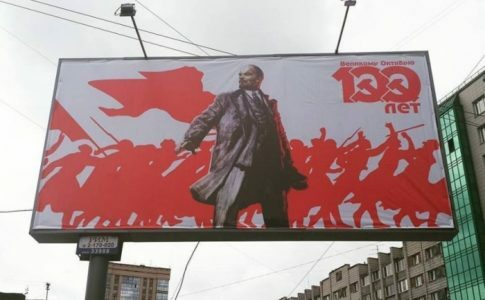 How Will Russia Celebrate the Centennial of the October Revolution?